for immediate download for only $19.95! 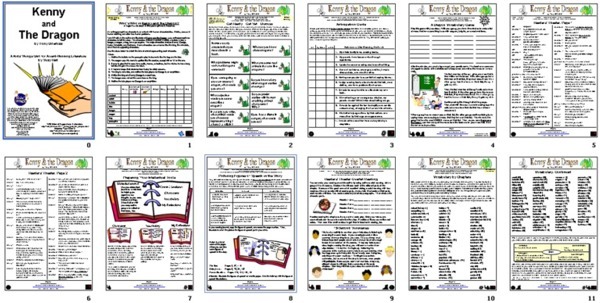 Click Here to purchase and download these three Kids Wings literature guides through Teachers Pay Teachers. 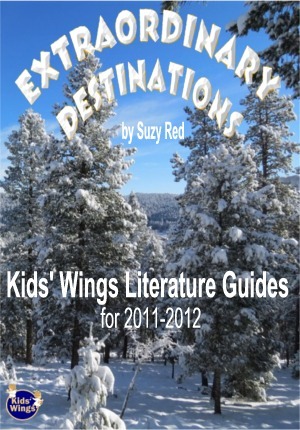 or Click Here to Check Out with Kids Wings. Kenny Rabbit and his family live in a small farming community. His father keeps sheep high on Shepard's Hill, but Kenny is more interested in reading and dreaming of exploring and going on great adventures. Can you imagine how excited he was when his father burst in one night saying he had seen a dragon on Shepard's Hill? This is the beginning of a great, friendship, one that requires Kenny to use his courage, perseverance, literary finesse, and even a willingness to sacrifice his own safety to save his friend. Author / Illustrator Tony DiTerlizzi weaves magic with his storytelling style, new animal characters, sparkling vocabulary, and precious pencil sketches that bring the story to life. This story revives a classic,The Reluctant Dragon by Kenneth Grahame, and will most likely become a classic itself. 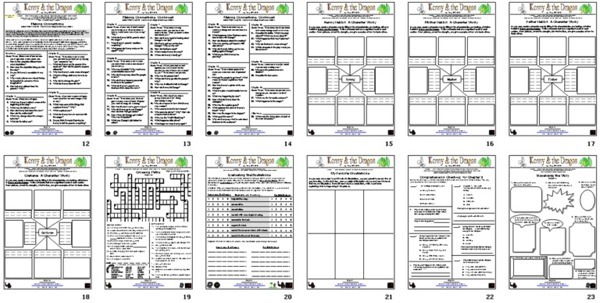 A 35-page unit, perfect for lesson planning, handouts, or projection on your SmartBoard for Kenny and the Dragon is now available! 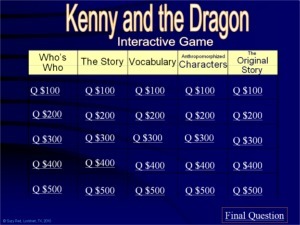 Also included is an interactive Jeopardy-type game! "Young Arthur doesn't understand why pulling a sword from a stone qualifies him for kingship. Old Merlin tells him a story of his childhood, when he first learned to trust in himself: a story about fighting dragons, clashing armies, and a young boy's prophetic dreams. Merlin's story inspires young Arthur with the confidence he will need to become a great king. Masterfully narrated by film star Kevin Kline"
Kenny and the Dragon is one of the 26 literature guides for award-winning literature in our Extraordinary Destinations Collection. 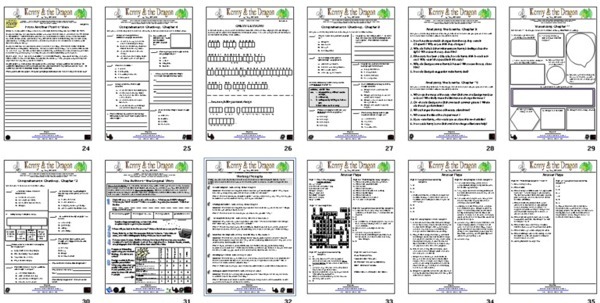 Though you can order each unit individually for about $19.95, if you order Extraordinary Destinations you will get the 26 units for less than $1.00 each in a spiral-bound book with CD in its back pocket! Order now while we still have them to send to you! Kids' Wings® has created outstanding activities for each novel, units which provide the latest in integrated curriculum. SMDisclaimer: Texas Bluebonnet AwardSM is a service mark of the Texas Library Association, which is in no way affiliated with Kids' Wings or Suzy Red. Use of the Texas Bluebonnet Award mark in these materials does not imply any endorsement of any kind on behalf of the Texas Library Association. The Texas Bluebonnet Book Master ListSM was selected by the Texas Bluebonnet Award Committee of the Texas Library Association.